Not so long ago, most people’s vision of the ideal career was one where they could remain, safe and comfortable with one company, until the day they retired. People expected to work for someone else, and that was OK. Now, however, more and more young people realize they can be in charge of their own destiny. They want to work for themselves. But achieving success as an entrepreneur takes a lot more than desire. It takes guts and dedication. It also takes knowledge, because you can’t start and grow a business without understanding how business works. You need to learn the principles of entrepreneurship. The stages of a business, so you can see that companies “grow up” just like people do. Business fundamentals, because a great idea isn’t enough. The differences between service- and product-based businesses. How famous inventors and entrepreneurs from Henry Ford and McDonalds’ Ray Kroc to Steve Jobs got their start. 17-year-old CEO Leanne Archer started Leanna’s Hair when she was 9, creating homemade pomade using her great-grandma’s secret recipe. Her company now offers an entire line of hair products. 14-year-old Robert Nay created the mobile game app “Bubble Ball” in one month, teaching himself coding at the library. (Sterling Academy is one of few schools in the country that offer a class in coding.) When it hit the Apple app store, the game was downloaded more than a million times in two weeks. 13-year-old Lizzie Marie Likness has her own healthy-cooking website and produces kid-oriented instructional videos. In sixth grade, Anshul Samar created a board game called Elementeo to make learning chemistry more fun. Now 19, he is a student at Stanford University and has started a grant fund to encourage other young entrepreneurs. When she was eight, Madison Robinson traced the outline of one of her flip flops and then drew sea creatures on it. She showed the drawings to her dad, who got so excited he bought her a domain name that same day. Seven years later, Madison’s company FishFlops is a growing enterprise. "My biggest challenge is scheduling travel to tradeshows, interviews and special events so that it doesn't interfere with my school work," says the 15-year-old. "This is an ongoing challenge to find the right balance between my business, my studies and my school activities." It’s a challenge every teen entrepreneur faces. For them, online high school (or middle school) is an ideal alternative. After suffering a severe injury, Jason Li was unable to walk for an entire week. So he read instead, about social entrepreneurship projects in under-developed countries. 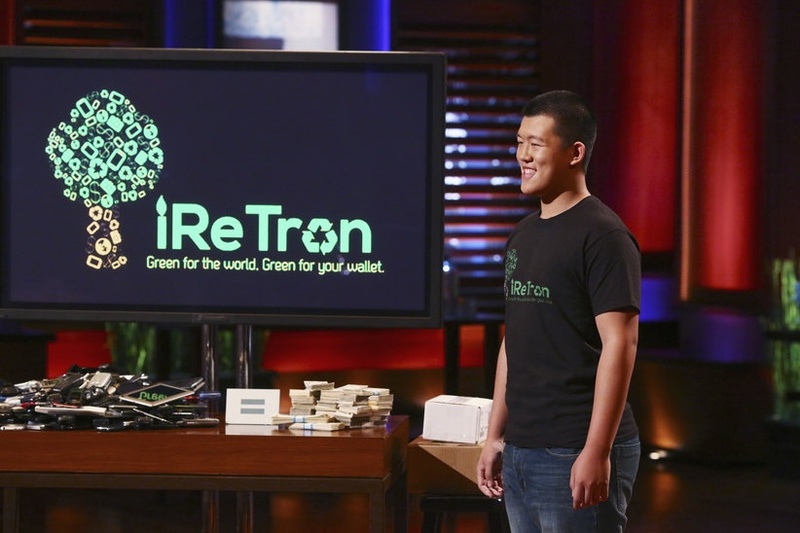 He was inspired to “create my own social enterprise that could reward people for being environmentally friendly,” and a year later unveiled his electronics recycling company iReTron. Now 17, Jason promoted his business on the popular television show Shark Tank, where he secured financial investment from Mark Cuban. Who knows? Maybe you can, too. Learning the principles of entrepreneurship is a great place to start.